The typical residential remodeling project costs from $16,000 up to $63,000. If you take the time to consider what you truly want from your remodel before the demolition begins, it will end up saving you time and money. Read our list of 5 important things to consider before you start. Before selecting a contractor, verify all licensing and insurance. The last thing you want is for a workplace safety violation that you are responsible for. Go over the workplace safety details with your contractor carefully. While you’re at it. Look into if your contractor has a payment bond. Make sure the contractor you hire understands your goals. He or she should have experience in the type of job you want to do. Communication is vital for your peace of mind. Your residential remodeling project may hit a snag or a delay. Insist on regular contact so you’re in the loop. Allow the work crew to manage their own daily work, but set up a weekly face-to-face update from the foreman. Schedule these in advance, say every Friday at the end of the day. 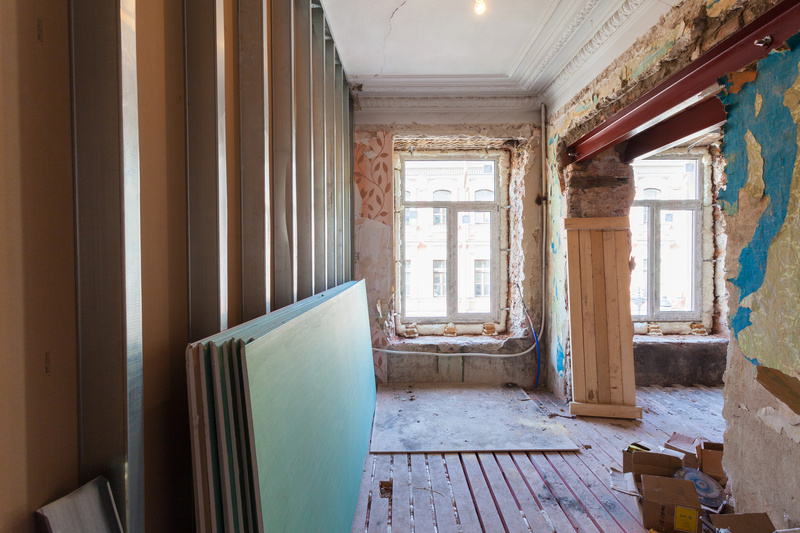 How Will Your Residential Remodeling Affect Other Rooms? Think about what rooms you want to be renovated. Keep in mind that renovating one space will affect the adjoining spaces as well. If you renovate only your open kitchen, will the connected areas such as the living area look dated? Even if your budget or schedule permits only one room at a time, it’s important to consider how one renovated space will affect the next. When planning your residential remodeling budget, think about all the extras. Does your budget include tax and consultant fees? What about accommodations if you need to move out during construction? Does this number include appliances, lighting fixtures, and furniture? There are costs outside of your construction budget that you won’t see from your contractor. Make sure these figures make it into the budget. If you have a little wiggle room – tell your contractor. If your range is firm, make sure that is clear. Your contractor uses the budget you provide to source materials and to plan labor. Contractors can often find an alternative that is budget-friendly. The key is for them to know what they’re working with. If necessary, break the project down into multiple phases. Read our 5 tips on negotiating a fair deal on your roof restoration. Begin demolition only after the new equipment and supplies have arrived. This includes windows, doors, appliances or essential materials. There are thousands of horror stories out there. Like delays that completely sideline a residential remodeling project. Don’t let that happen to you. Be firm on this. Even if your contractor assures you the supplies will arrive on time. Wait until you have everything in hand before you start. This saves you money, time and a lot of headaches. We hope these 5 tips are helpful to you in planning your home renovation. With proper planning, the construction is sure to go as smoothly as possible. For your next project, check out the amazing benefits of wrought-iron doors for your home!